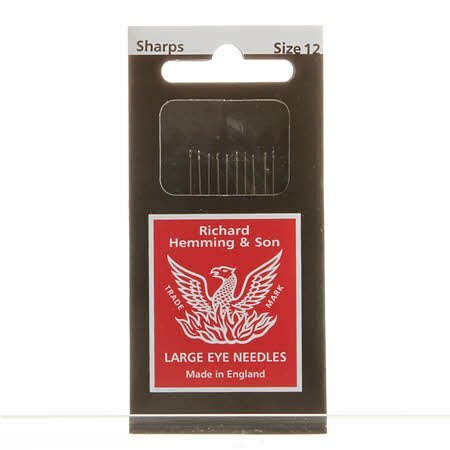 Size 12 Sharps large eye needles. 10 needles in package. Large eye makes threading easier. Size 12 is fine and strong, to make the perfect stitch in applique. Made in England. Finest quality English needles.